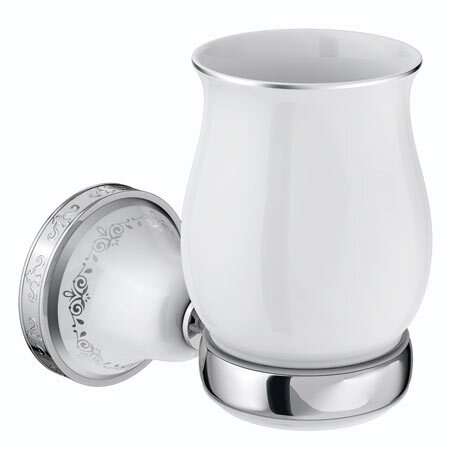 The Charlbury Ceramic Tumbler & Holder adds elegance to any traditional setting with its ornate detailing and simple design. Its white ceramic and chrome plated brass construction ensures this fixture will stand the test of time. Dimensions: (W)74 x (D)136 x (H)132mm approx.